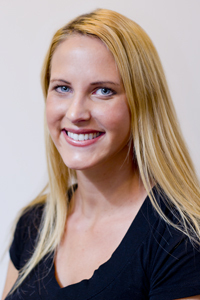 Laura joined Hertzog Eye Care in 2013 after earning her Master's degree in nursing from Cal State University Long Beach. Prior to this, Laura earned her RN and Bachelor of Science in Nursing from Long Beach State in 2007, earning Honors as both an undergraduate and graduate during nursing school. She subsequently worked as a Registered Nurse in the Pediatric Intensive Care Unit at Miller Children's Hospital at Long Beach Memorial. After 3 years, she took a full-time job as manager in the post-operative recovery unit at a Surgery Center in San Diego. She spent an additional 3 years earning her Masters Degree in nursing and subsequently worked as a Nurse Practitioner, teaching nursing students at her alma mater. Laura Hertzog gained her experience in cosmetic medicine while working at a plastic surgery center, a medical spa, and taking many hands-on courses. She looks forward to utilizing her acquired expertise to supplement the services offered at Hertzog Eye Care. Laura considers her greatest achievement her two young boys, Jack and Thomas. Laura is excited to use her multi-faceted skill set to serve the growing patient base at Hertzog Eye Care.